Seas around the world are rising now at a rate of about 3.3 millimeters per year. This rate of rise is faster than at any time in the last 2,800 years. It’s accelerating. And already the impacts are being felt in the world’s most vulnerable coastal regions. Last week, New Orleans saw pumps fail as a heavy thunderstorm inundated the city. This caused both serious concern and consternation among residents. Begging the question — if New Orleans pumps can’t handle the nascient variety of more powerful thunderstorms in the age of human-caused climate change, then what happens when a hurricane barrels in? The pumps, designed to handle 1.5 inch per hour rainfall amounts in the first hour and 1 inch per hour rainfall amounts thereafter were greatly over-matched when sections of the city received more than 2 inches of rainfall per hour over multiple hours. Higher rates of precipitation from thunderstorms are becoming a more common event the world over as the hydrological cycle is amped up by the more than 1 degree Celsius of temperature increase that has already occurred since 1880. And when these heavy rainfall amounts hit coastal cities that are already facing rising seas, then pumps and drainage systems can be stressed well beyond their original design limits. The result, inevitably, is more flooding. New Orleans itself is already below sea level. And the land there is steadily subsiding into the Gulf of Mexico. Add sea level rise and worsening storms on top of that trend and the crisis New Orleans faces is greatly amplified. All up and down the U.S. East and Gulf Coasts, climate change driven sea level rise and a weakening Gulf Stream are combining with other natural factors that can seriously amplify an ever-worsening trend toward more tidal flooding. It’s a situation that will continue to worsen as global rates of sea level rise keep ramping higher. And how fast seas rise will depend both on the amount of carbon that human beings ultimately dump into the Earth’s atmosphere and on how rapidly various glacial systems around the world respond to that insult (see discussion by Dr. Eric Rignot above). Presently High and Rising Atmospheric Carbon Levels Imply Ultimately Catastrophic Sea Level Rise — How Soon? How Fast? Can We Mitigate Swiftly Enough to Prevent the Worst? 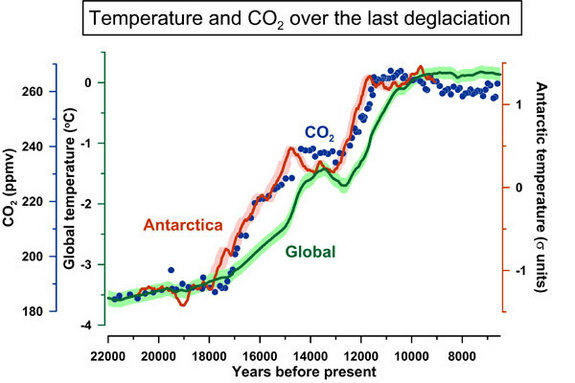 Presently, atmospheric carbon forcing is in the range of 490 parts per million CO2 equivalent. This heat forcing, using paleoclimate proxies from 5 to 30 million years ago, implies approximately 2 degrees Celsius of warming this Century and about 4 degrees Celsisus of warming long term. 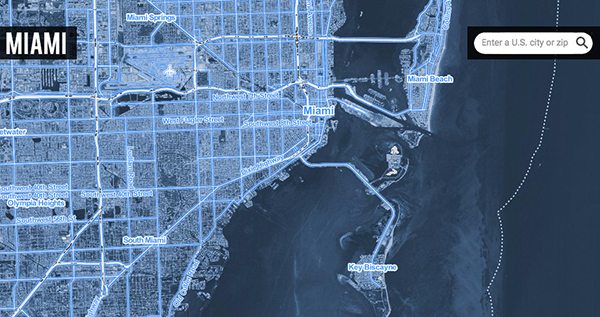 It also implies an ultimate sea level rise of between 60 and 180 feet over the long term. In other words, if atmospheric carbon levels are similar to those seen during the Miocene, then temperatures are also ultimately headed for those ranges. Soon to be followed by a similar range of sea level rise. In the nearer term, 1.5 to 2 C warming from the 2030s to late Century is enough to result in 20 to 30 feet of sea level rise. Of course, various climate change mitigation actions could ultimately reduce that larger heat forcing and final related loss of glacial ice. But with carbon still accumulating in the atmosphere and with Trump and other politicians around the world seeking to slow or sabotage a transition away from fossil fuels, then it goes to follow that enacting such an aggressive mitigation will be very difficult to manage without an overwhelming resistance to such harmful policy stances. That said, warming and related sea level rise will tend to take some time to elapse. And the real question on many scientists’ minds is — how fast? 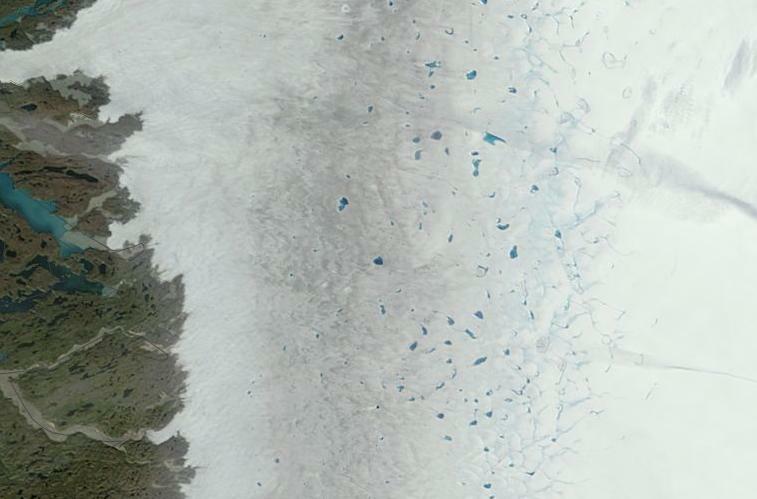 Presently, we do see serious signs of glacial destabilization in both Greenland and West Antartica. These two very large piles of ice alone could contribute 34 feet of sea level rise if both were to melt entirely. Meanwhile, East Antarctica has also recently shown some signs of movement toward glacial destabilization. Especially in the region of the Totten Glacier and the Cook Ice Shelf. But rates of progress toward glacial destabilization in these zones has, thus far, been slower than that seen in Greenland and West Antarctica. 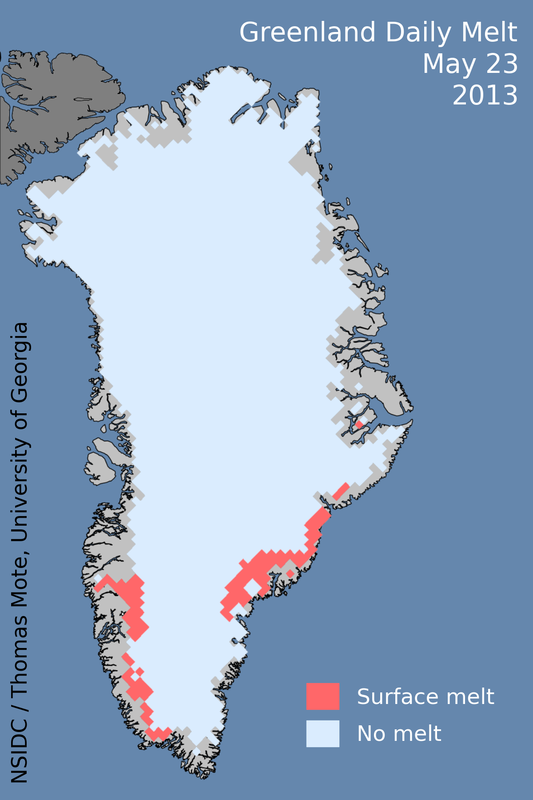 Present mass loss hot spots are in the area of the Thwaites Glacier of West Antarctica and around the western and southern margins of Greenland. With global temperatures now exceeding 1 C and with these temperatures likely to exceed 1.5 C within the next two decades, it is certain that broader heat-based stresses to these various glacial systems will increase. 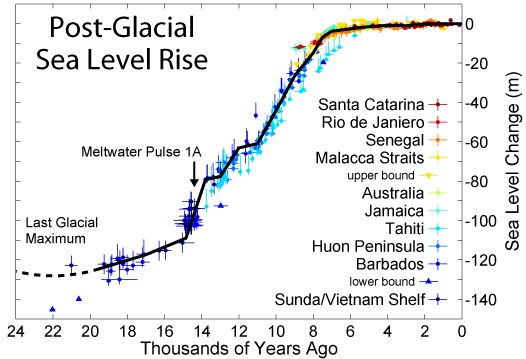 And we are likely to see coincident melt rate acceleration as more glaciers become less stable. The result is that coastal flooding conditions will tend to follow a worsening trend — with the most vulnerable regions like the U.S. Gulf and East Coasts feeling the impact first. Unfortunately, there is risk that this trend will include the sudden acceleration of various glaciers into the ocean, which will coincide with rapid increases in global rates of sea level rise. In other words, the trend for sea level rise is less likely to be smooth and more likely to include a number of melt pulse spikes. Such an overall trend including outlier risks paints a relatively rough picture for coastal city planners in the 1-3 decade timeframe. But on the multi-decade horizon there is a rising risk that sudden glacial destabilization — first in Greenland and West Antarctica and later in East Antarctica will put an increasing number of coastal cities permanently under water. The only way to lower this risk is to rapidly reduce to zero the amount of carbon hitting the atmosphere from human sources while ultimately learning how to pull carbon out of the atmosphere. The present most rapid pathway for carbon emissions reductions involves an urgent build-out of renewable and non-carbon based energy systems to replace all fossil fuels with a focus on wind, solar, and electrical vehicle economies of scale and production chains. Added to various drives for sustainable cities and increasing efficiency, such a push could achieve an 80 percent or greater reduction in carbon emissions on the 2-3 decade timescale with net negative carbon emissions by mid Century. For cities on the coast, choosing whether or not to support such a set of actions is ultimately an existential one. Normally melt doesn’t begin in Greenland until May. 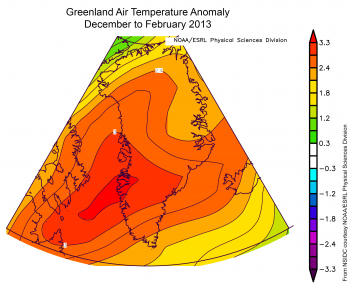 But, this year, Greenland saw melt in the midst of winter. 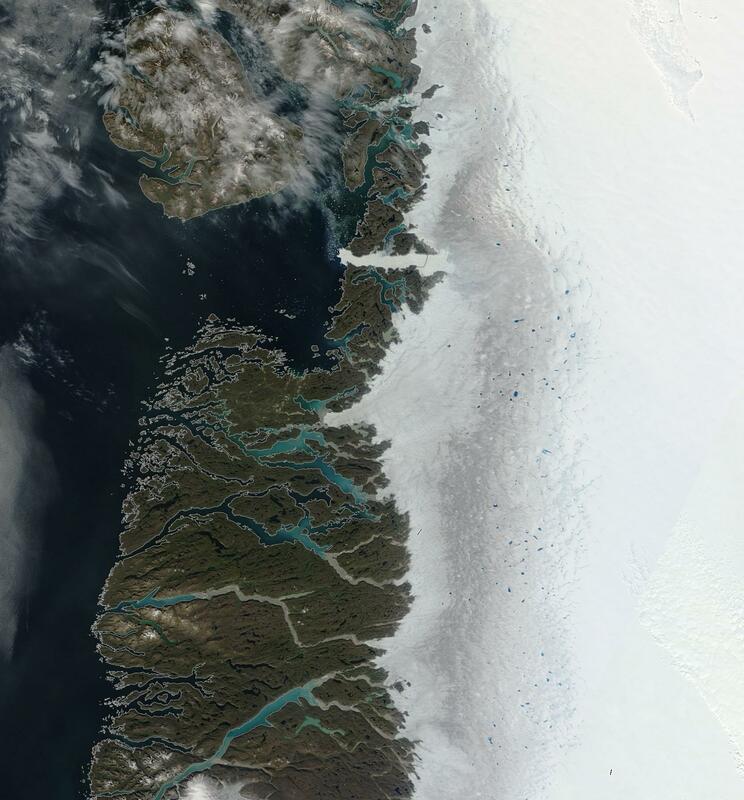 According to reports from the National Snow and Ice Data Center, sections of the southeast coast of Greenland melted throughout January, February and March of 2013. This level of melt is far above average and almost never appears so early. Even more disturbing is the fact that some areas of Greenland have melted for more than 50 days so far this year (out of 70 total). 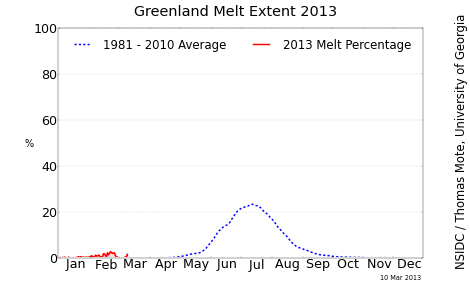 So, in some locations, Greenland has seen melt for almost all days of 2013. And it isn’t even spring. The above image provided by NSIDC shows the number of melt days for Greenland so far this year. Note the southeast coast where melt has already occurred between 10 to 50+ days out of 70 so far this year. Winter is a time when cold temperatures should keep the Greenland glacier from melt and loss of mass. When the great ice sheets should rebuild before summer. However, this is not happening. Instead, melt which would normally appear in May continues in some regions throughout winter. What this would seem to indicate is that the heat absorbed by the glaciers during summer and the warm surrounding oceans carry enough energy to continue melting the ice sheets throughout the long dark of the Greenland winter. Taking into account the very thin and cracking Arctic sea ice, Greenland melt throughout winter is but one more unprecedented set of events for the very odd Arctic winter of 2013. 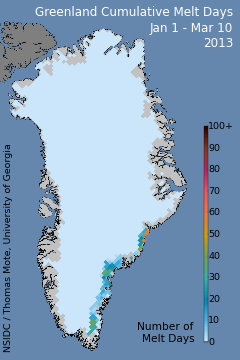 And, given the new trends, one has to wonder if year-round melting of Greenland will become a regular occurrence. 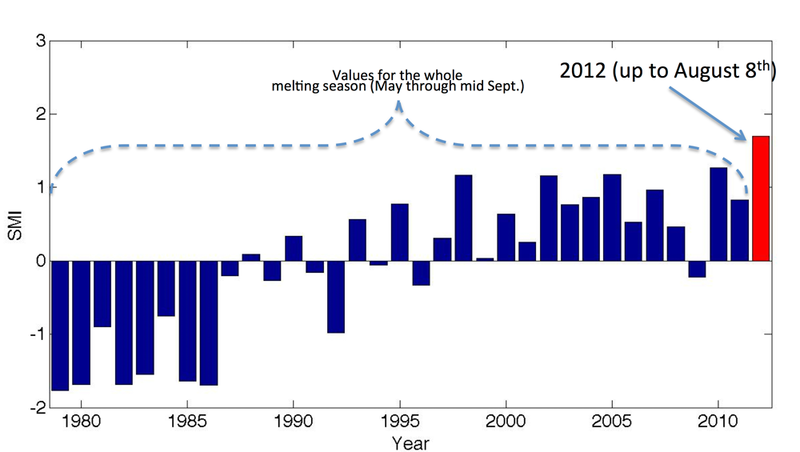 The above image shows melt for 2013 (red) in comparison with normal melt (blue). Note the various spikes in melt days beginning in January, ramping up in February to near end-May values which fall off and then appear again in March. It is also worth noting that last year showed Greenland melting over nearly 100% of its surface at the height of summer. With a normal year showing a 25-30% surface melt for Greenland, it appears that a period of historic and unprecedented melt is rapidly taking hold. This winter, massive cracks riddled the sea ice. Forming over an ice sheet nearly 80 percent thinner than in 1980, these cracks appeared suddenly and grew with astonishing speed. 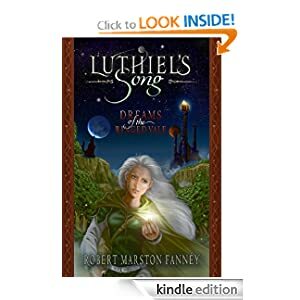 Covering hundreds of miles in minutes, they laid bare the ocean beneath, venting heat into an already quickening atmosphere (read more about the crack-up here). 2012 was the hottest La Nina year on record and the 9th hottest year on record globally. 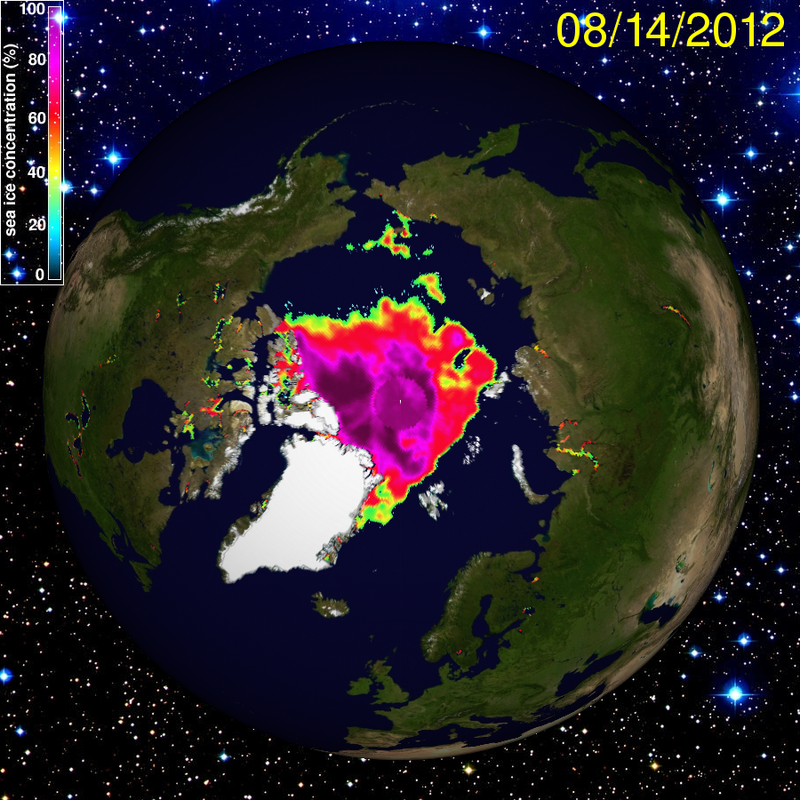 It was a year that saw a massive collapse in summer Arctic sea ice continue with a vengeance. 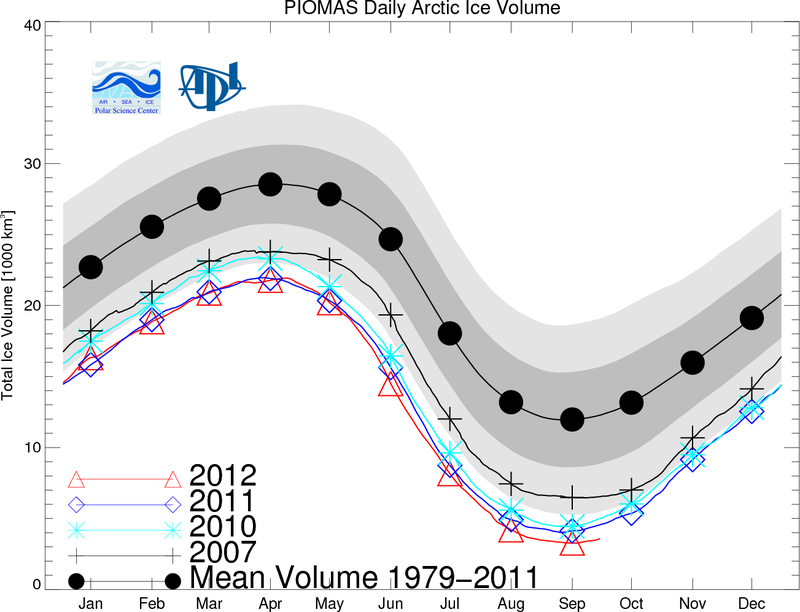 Sea ice volume, as measured by the Pan-Arctic Ice Ocean Modeling and Assimilation System (PIOMAS) fell to 3,264 cubic kilometers by September of 2012. This was 750 cubic kilometers below 2011’s record low and 3,200 cubic kilometers below 2007’s record low. Even more disturbing is the fact that from the period of 2005 to 2012, two large, precipitous drops in sea ice volume occurred. In 2010, 2460 cubic kilometers of sea ice volume was lost. And in 2007, 3440 cubic kilometers of sea ice volume faded into the ocean. With minimum sea ice volume for 2012 now sitting at 3264 cubic kilometers, a single melt year with weather conditions like 2007 would bring the total down to zero volume by end of summer 2013. This event may be unlikely to happen. But there is still a significant risk, a 10% potential, that something on this order may happen in 2013. 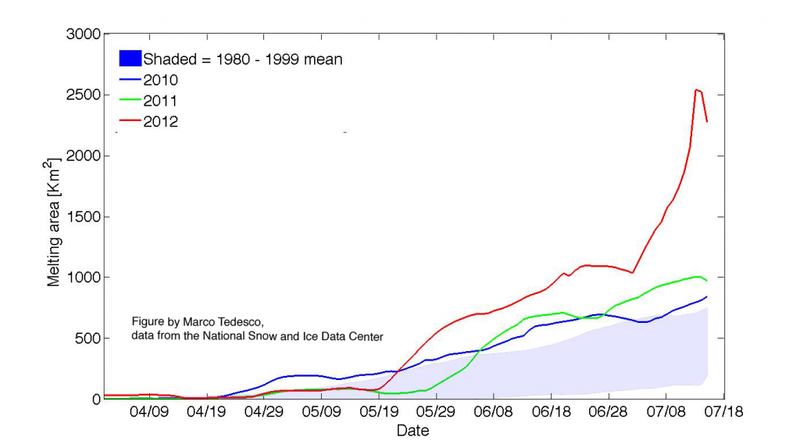 Based on past sea ice losses and a current, ongoing melt trend, we can’t rule it out. So for the first time ever in the modern record, there is a chance that summer sea ice will completely disappear this year. But even if we saw a repeat of 2010’s massive melt, volumes would be pushed very low — down to a paltry 800 cubic kilometers. 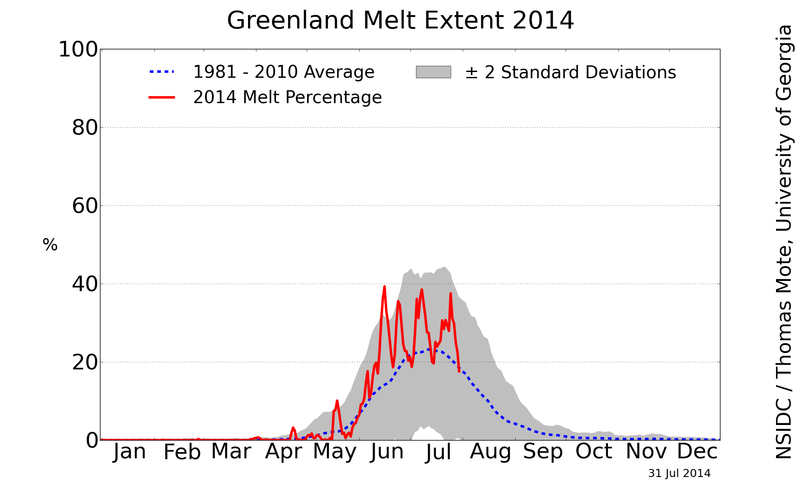 And, in such a case, a complete melt by 2014 or 2015 becomes almost certain. Taking into account the average rate of melt from 2005-2012, we see losses of 740 cubic kilometers per year. If these average losses continue through 2013-2017 total melt occurs sometime in the summer of 2017. 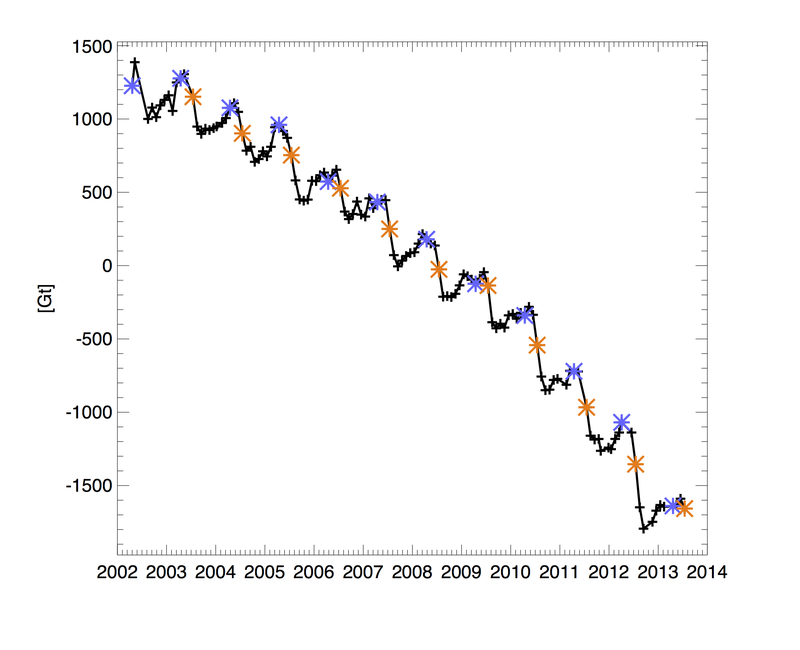 But any catastrophic melt similar to 2007 results in a complete melt during any one of these five years. Even if melt is ‘mild’ compared to averages over the past 8 years, it is almost certain that all summer sea ice will be gone by 2020. For these reasons, it is very important to sound the alarm for total summer sea ice collapse now. Given current trends, it appears less likely that summer sea ice will remain and more likely that the world will see an open Arctic Ocean sometime within the next five years and, almost certainly, by the end of this decade. Looking at the risk trends, it appears 10% likely that zero summer sea ice volume will be reached by the end of 2013. That likelihood jumps to 25% by the end of summer 2014. By 2015, if current trends bear out, the chance is around 40%. Moving on to 2016, we get into the range of higher probabilities with a 50% likelihood of total summer melt. And without some kind of negative feedback or the intervention of weather less favorable for melt, there is more than a 60% likelihood that all sea ice will have disappeared by summer of 2017 (These probabilities are based on trends analysis and are not based on any official climate model). Feedbacks To Play a Role? The first is sea ice melt itself. As sea ice melts more of the white, reflective ice is replaced by dark, heat absorbing, water. As less and less of the Arctic Ocean is covered by ice during the summer months, more and more dark ocean is available to absorb the near-constant summer sun’s rays. This feedback, called loss of albedo, would push for a faster melt and, if it comes to dominate, would result in a more rapid melt of far more fragile ice. Fragile ice. As sea ice becomes thinner it is subject to an increasing array of mechanical forces that may hasten its break-up. Thin ice is less resilient to storms, for example. And as the ice breaks into smaller and smaller chunks a greater portion of its surface area is exposed to the sun’s rays and to the surrounding, warmer water. Again, this feedback would push for a more rapid melt. Methane and CO2 release. Large portions of the frozen land-mass called permafrost are melting in the Arctic. When the organic matter in the permafrost breaks down either methane or CO2 is released. In addition, large volumes of methane are bubbling up from the sea-bed both from freed methane hydrates and from submerged and thawing permafrost. These releases produce local spikes of the greenhouse gasses methane and carbon dioxide while also amplifying global, human-caused climate change. Methane release local to the Arctic tends to increase Arctic heat trapping, resulting in more rapid ice melt. 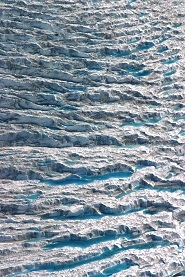 Greenland melt. Over the past few years, an ever-increasing volume of cold, fresh water has been melting from the vast glaciers of Greenland. Ironically, this cold water melt may produce one of the the few negative feedbacks in the Arctic environment. Cold water flushing into the Arctic Ocean and North Atlantic may perturb heat transport to the Arctic via the Gulf Stream. Large volumes of fresh water also freeze at higher temperatures than the saltier ocean water, potentially restoring some albedo to the Arctic. So, in this case, large pulses of water from Greenland may result in a small volume of ice remaining to the north of Greenland during late summer. Even larger pulses may result in some recovery of the ice pack. But such an event would come at the cost of rapidly rising seas, powerful storms, and dangerous, large water pulses from Greenland. The question in such a case is if the positive human forcing on the climate system and the strength of other amplifying feedbacks in the Arctic is enough to overwhelm the negative feedback of water pulses from Greenland. 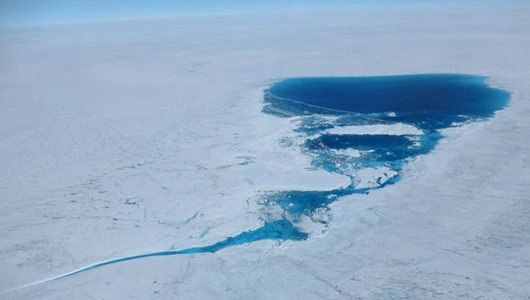 Because it appears less likely that water pulses from Greenland will grow large enough to produce a powerful enough negative feedback to overwhelm summer ice melt short-term, it appears that complete summer ice melt by 2013-2017 is a high risk and total ice melt by 2020 is almost certain. After that time, all eyes turn to Greenland as the great ice sheets begin to play their role in re-establishing equilibrium to the Arctic environment. 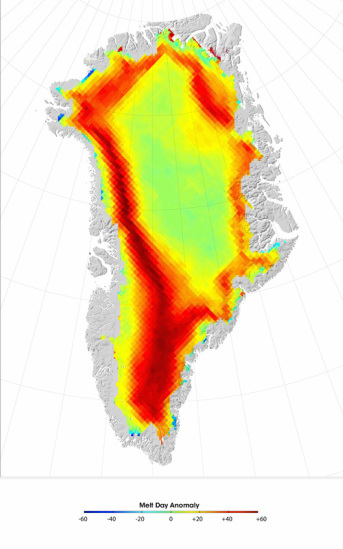 The surrounding heat of the oceans, air, and the amplifying feedbacks coming from the Arctic environment itself will almost certainly push Greenland into a very rapid melt phase by the late 2010s onward. And this next phase of Arctic melt will be far more dangerous and troublesome than the rapid sea ice melt period of 1979-2020. In parting, I will leave you with this graphic provided by the US Navy. 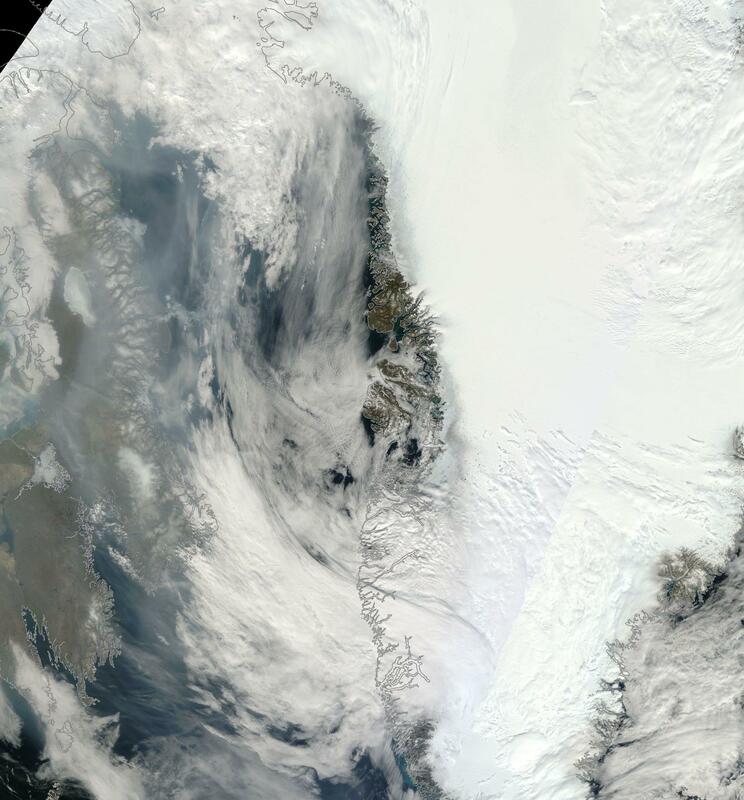 It shows a broad but very thin ice sheet covering much of the Arctic. It shows the remaining, small portion of thick ice hovering just north of the Arctic Archipelago and the north shore of Greenland. 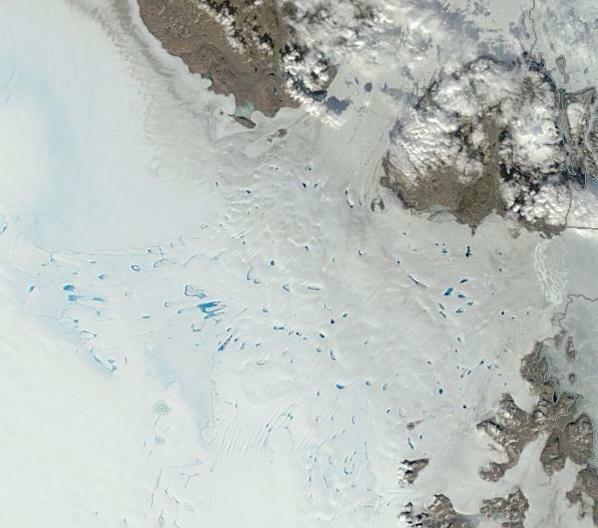 It shows how much of the thick sea ice has already been flushed out through the Fram Straight. What it does not show are the cracks that appear, periodically, like Arctic lighting over the now fragile ice sheet. 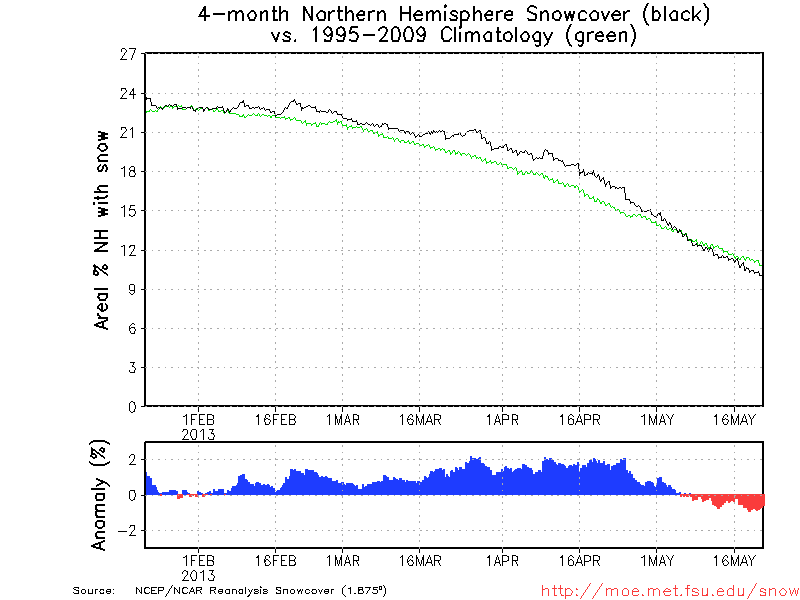 This is the state in which the Arctic enters its 2013 melt season. Thin. Depleted. Fragile. And with the cracks of its eminent demise now riddling its surface. 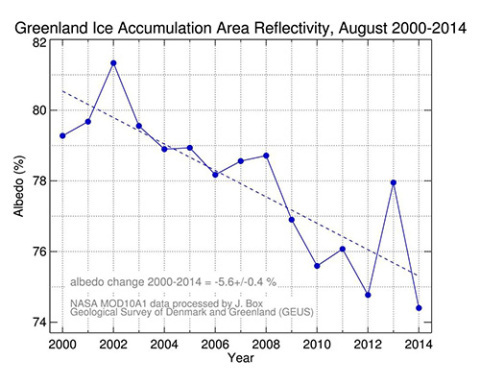 Greenland Glacial Melt Rapidly Increasing, So Why is Andrew Revkin Telling us No Policy Response Necessary? In 1995, Greenland contributed no melt water to global sea level rise. 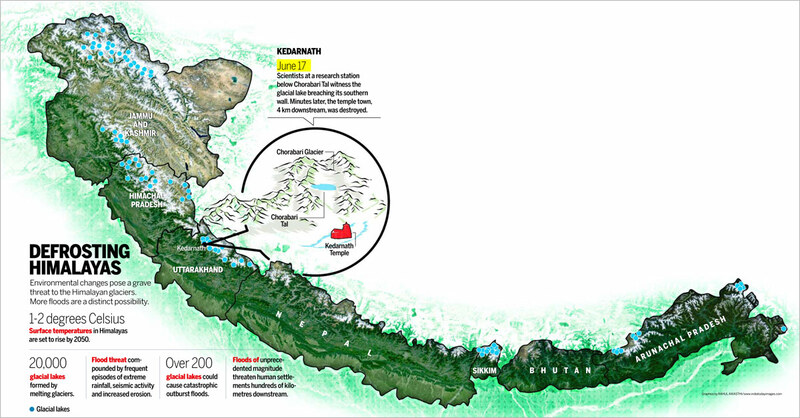 By 2012, melt had increased rapidly to more than 7 mm. By comparison, Antarctica contributed about 4 mm by 2012. Ever since 2003, melt rate growth from Greenland has outpaced that of Antarctica. In total, Greenland contains enough ice to increase world sea levels by about 6 meters or 20 feet. Quite a lot of water. By comparison, West Antarctica, which is most likely to melt alongside Greenland due to human-caused global warming, contains enough ice to raise sea levels by about 5 meters (16.5 feet). 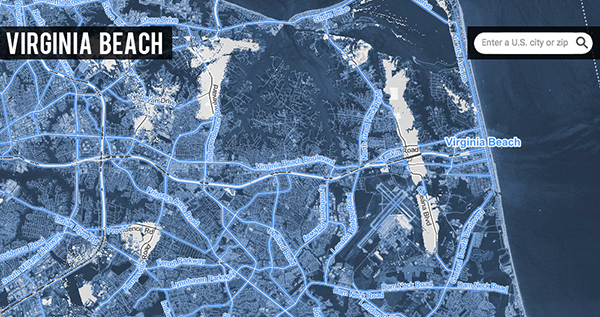 The last time greenhouse gasses were as high as they are today, both these ice stores melted. Along with thermal expansion of water and additional contributions from mountain glaciers and other parts of Antarctica, total sea level rise at around 400 ppm CO2 was about 75 feet. As the globe warms due to human-caused climate change, we can expect increasing outflows of water from both Greenland and West Antarctica. To prevent such changes, at the very least, will require serious improvements to world energy and climate policy. And so monitoring ice melt in these regions cannot be entirely divorced from the need for such policy if we are to maintain a world with stable coastlines, a world in which states and nations aren’t at risk of being wiped off the face of the Earth by rising waters. Revkin’s statement has to do with a recent ice core sample study which found that, during the Eemian, the last inter-glacial period, Greenland melted ‘only’ enough to increase sea levels by 1-2 meters. The study did not conclude, as Revkin did, that Greenland ice melt caused by increases in greenhouse gas emissions would follow the same pattern as it did in the Eemian. 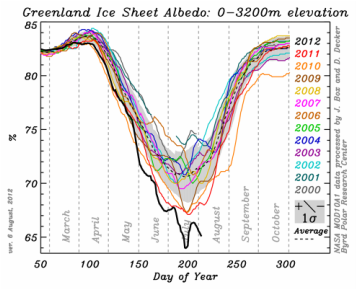 Nor did it recommend, as Revkin did, divorcing policy from observations of increasing Greenland ice melt. Revkin’s argument and assertions aren’t new. In fact, James Hansen in his most recent paper on Greenland and West Antarctic ice melt cautions that melt in Greenland is not likely to follow the same pattern as the Eemian and that inland glaciers aren’t so buttressed from ocean influence as some suppose. Even more disturbing is the fact that some climate change deniers tend to use the Eemian to support some of their own, non-scientific, arguments. In other words, Greenland melt has serious policy implications for coastal planners (and many more people, for that matter). A recent report found that Miami may well not be a viable city before the end of this century and, possibly, before it is even half over. 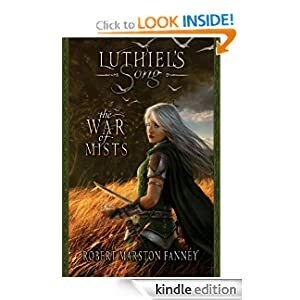 Much of south Florida and many low-lying regions of the world are likely to suffer similar fates. In general, it is not a good idea to suppose that current melt trends will mirror those of the Eemian. Nor that melt will be as gradual as some expect. Nor that we should not base policy decisions on an observable and increasing danger of damaging sea level rise. 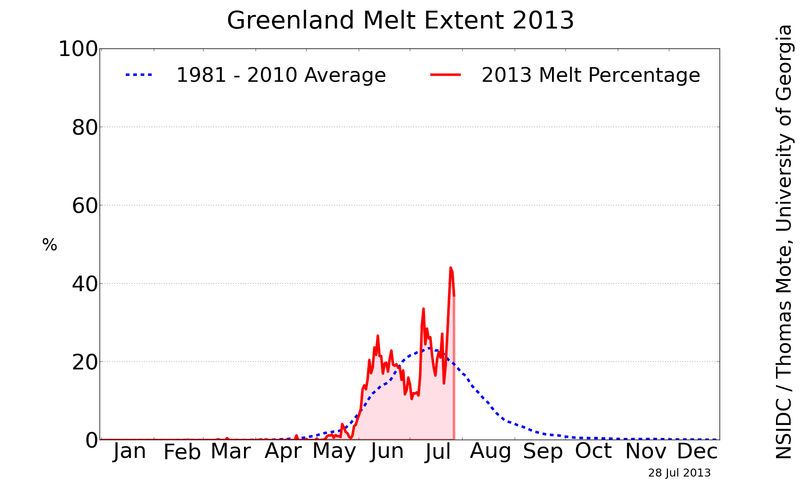 Over the past decade and a half, Greenland has shown a powerful trend toward increased melt. 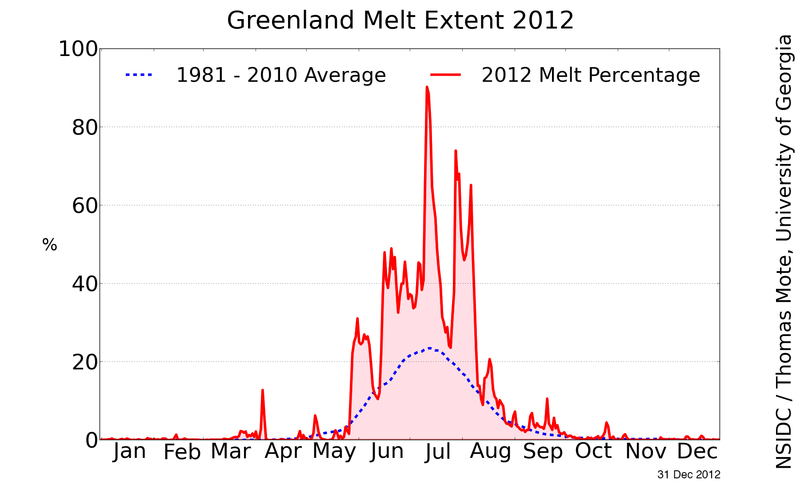 The image above, provided by Marco Tedesco, who recently released a report on 2012’s record Greenland melt, shows a stark trend of increased melt ending in the unprecedented melt season that occurred this year. Note that the above graph only shows cumulative melt through August 8th of this year, so final melt index values are likely to be even higher. Cumulative mass loss is also running higher than previous record years with 2012 at 90 gigatons of mass lost through the end of July. The last record year, 2010 showed 60 gigatons of mass lost through the same period. August tends to show high mass loss rates and mass loss can continue through September, so we will have to wait for final values in these figures. Based on secondary observations, Jason has speculated that this is possibly the lowest reflectivity for Greenland since the Medieval Warm Period which peaked in 1150. Reflectivity is important because it determines how much solar radiation the ice sheet absorbs. The more radiation absorbed, the greater the potential for melt. 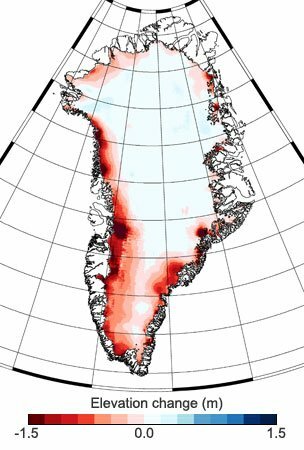 In all, this has been a critical year for Greenland, and should ice melt trends continue within this range or increase, it will become increasingly clear that Greenland is encountering a melt tipping point. Today Arctic sea ice area, according to Cryosphere Today, measured 3,097,000 square kilometers. This is about 30,000 square kilometers above the third and fourth lowest level ever recorded and about 105,000 square kilometers above the record lows for sea ice area set in 2007 and 2011. With one month of melt still remaining, we are currently well within striking distance of a new record low for sea ice area this year. And when one considers that over 140,000 square kilometers of sea ice was lost during one day of last week, any similar weather event would almost certainly put us into new record territory. For the day, sea ice area is currently at an all-time record low. Sea ice extent, though lagging sea ice area, is also currently in record low territory. The Japanese Space Agency (JAXA) is currently showing sea ice extent at 5,020,000 square kilometers, a record low for today and about 800,000 square kilometers above the record low set for 2007. The National Snow and Ice Data Center (NSIDC) is showing sea ice area measurements that are currently at all-time lows for the date and about 700,000 square kilometers above record low values set in 2007. Most recent values for sea ice volume from the Polar Science Center (PIOMAS) show that we are also in record low territory there as well. And a new set of research by UK scientists has made similar findings to PIOMAS scientists, noting in a recent BBC report that the Arctic may experience ice free periods during summer in as little as 10 years. Given these recent reports on record lows and potentials, it is worth noting that the vast majority of scientists very recently believed that the Arctic might experience ice free periods during summer as late as 100 years from now. 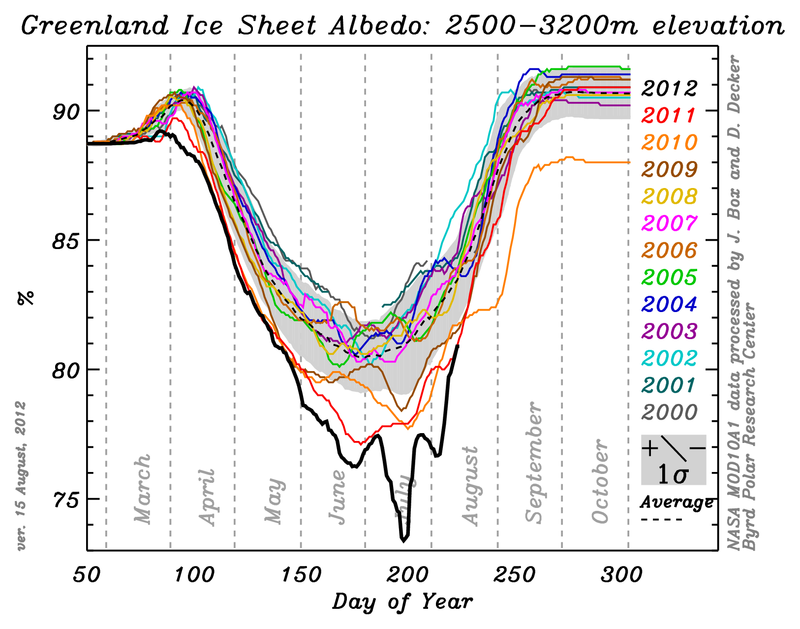 Sea ice melt model runs indicated similar results. But observations of actual melt and response to business as usual global warming has resulted in a much more rapid melt than expected. Arctic sea ice is a kind of canary in the coal mine for global warming. The reason is that sea ice has a powerful influence on global climate. First, it reflects sunlight away from the Earth, causing the Earth to absorb less radiation and, therefore, be quite a bit cooler. Second, darker water absorbs much more sunlight, so much so that researchers have found that open areas of water are as much as 5 degrees Celsius warmer than nearby waters covered in ice. Third, the Arctic Ocean and surrounding tundra, when exposed to higher temperatures, emit high volumes of methane gas. Methane is a powerful greenhouse gas that is at least 20 times as potent as CO2. And the Arctic contains enough of this methane to drastically increase human-caused global warming. And then there is the issue of Greenland. Sea ice serves as a kind of insulator that protects Greenland from warm air to the south. With much of the sea ice gone for longer and longer periods, Greenland will be exposed to warmer winds from the south and from within the Arctic itself. Losing the sea ice is like Greenland losing its heat shield. 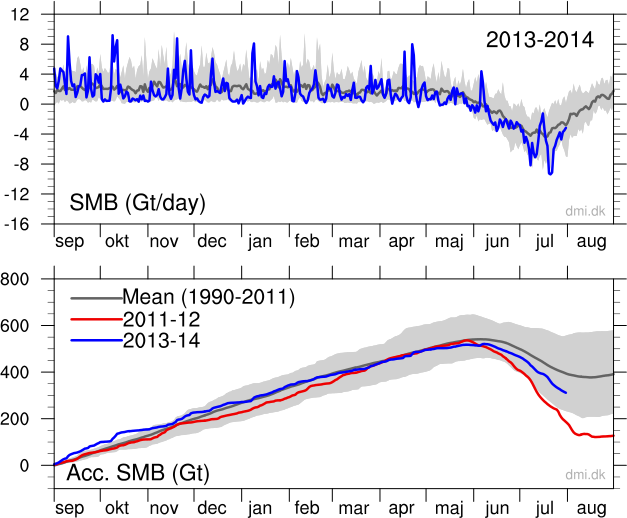 So one can expect more rapid melting from Greenland as sea ice continues its decline. It is also worth noting that Greenland did not retain ice in the geological past when CO2 levels reached current levels near 400 ppm. And with Greenland’s ice melting, seas would rise by as much as 23 feet. Current scientific estimates for sea level rise by the end of this century are in the range of 50 centimeters to 2 meters. The upper range of this estimate would have dramatic consequences for cities, regions, and nations around the world. But given the rapid rate of sea ice melt, these estimates could also be as far off as the previous estimates for sea ice melt were. Back in July, Greenland experienced a very rare period of warm weather that resulted in melting over all of Greenland’s ice cap. That said, for this summer, this single period of extremely warm weather was just the capstone of what has been an extraordinary melt season. Taking a look at the figure, it is pretty clear that Greenland melt through late July has far exceeded even the record 2010 and 2011 melt seasons. 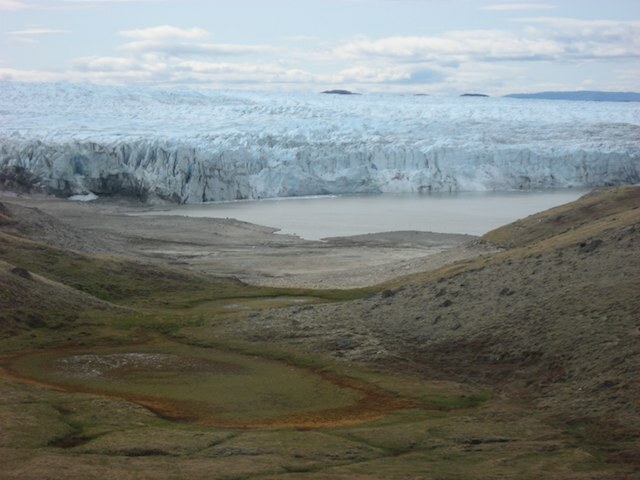 NSIDC went on to report that this year’s melt resulted in flooding for a number of rivers in Greenland and this, in turn, resulted in instances of structural damage. Putting this event in context, it is important to note that increased volumes of melt from Greenland also increase the rate of sea level rise. Furthermore, increased rates of melt in Greenland result in large iceberg calving events that directly impact world shipping and maritime industries. One such calving event in July resulted in an iceberg larger than Manhattan breaking off from the ice sheet. 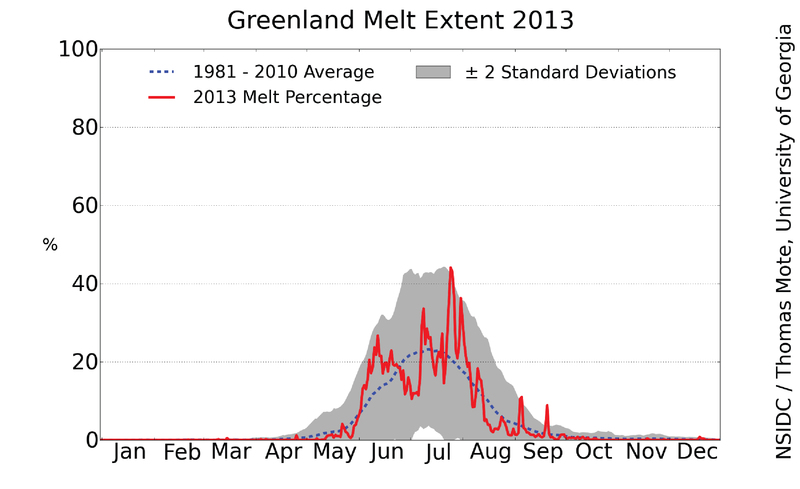 Finally, the unprecedented melt in Greenland did not occur in a vacuum. This summer has also brought record sea ice melt as well as a record early snow melt to the Northern Hemisphere. This series of events punctuates an ongoing trend that is years ahead of climate scientist’s expectations for impacts to global warming. In short, these kinds of events were predicted, but for one, two, or three decades on — not now. In particular, the discrepancy for sea ice melt and model predictions has been among the most glaring of these earlier than expected melt events. This issue is one we will explore more deeply in another post.